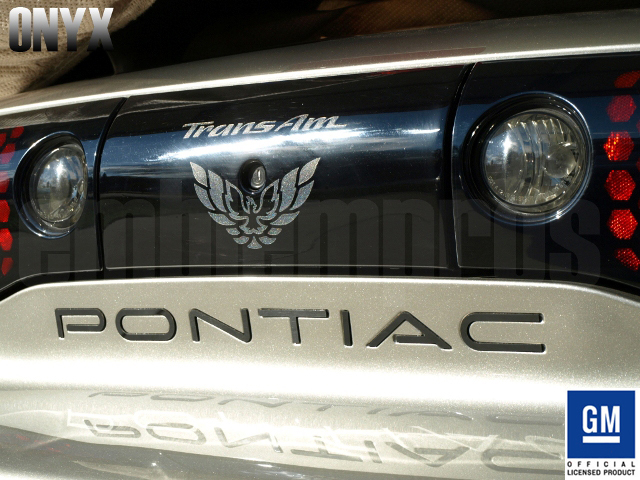 1993 - 2002 PONTIAC REAR LETTERING FOR FIREBIRD/TRANS AM, Premium black mirror stainless steel - our ONYX Series. Very High Bond 3M emblem adhesive is pre-applied to the backside of each insert. Fits nicely into your car's rear panel.